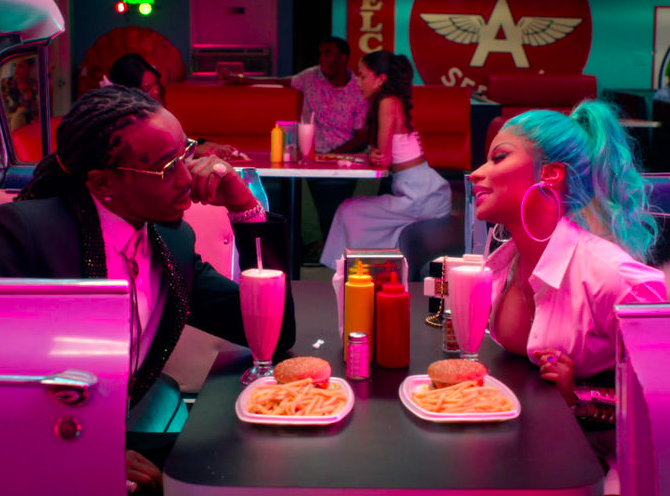 Before their high-powered "Motor Sport" collaboration dropped and took at Top 10 spot on Billboard's Hot 100, Quavo and Nicki Minaj recorded to the song "She For Keeps" last summer. The flirty record appears on Quality Control's Control The Streets, Vol. 1 compilation LP, released back in early December. The Migos frontman and Young Money Queen now return with the vibrant, feel-good music video for their ride-or-die track.